Organised in conjunction with the Italian Endourological Association (IEA), Modena, Italy will host more than 600 uro-technology experts from 24-26 May 2018. With three days of live surgeries, broadcast to Modena from all over the world, the 6th Meeting of the European Section of Uro-Technology (ESUT18) is the meeting that will update the urological community on the most recent technological advances in urological surgery and treatment. The meeting will host well-known experts in different urological surgical fields. The ESUT live surgery day during the 33rd Annual EAU Congress in Copenhagen was a full success with 2262 attendees in the eURO Auditorium. This reflects that live surgery is still of major interest in the urological community. Especially the “Technology strikes back” struck a chord with the many attendees. Building on this, the ESUT18 meeting will show 25 live surgery cases and 27 pre-recorded semi-live cases dealing with the latest developments and trends in uro-technology. In addition to the surgical demonstrations, there will be lectures dealing with the handling of complications that might occur during and after the surgical procedure, and how to avoid or treat them. 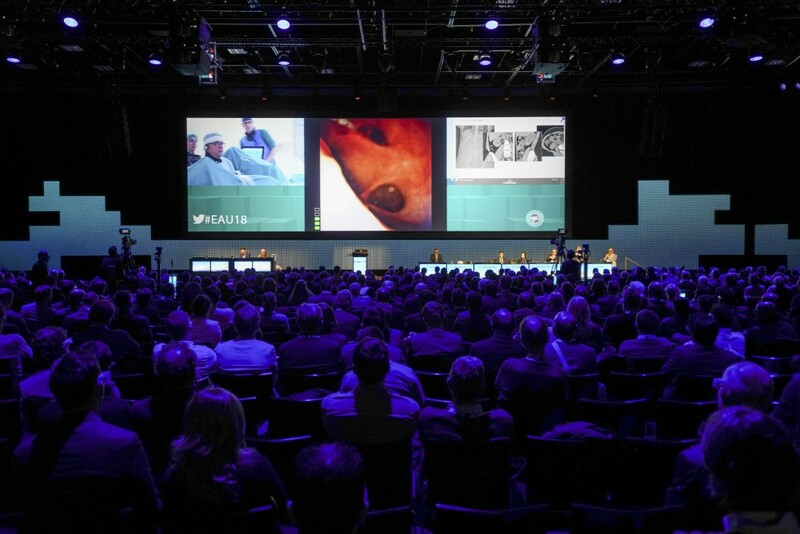 The concept of combining a national meeting (IEA) with the ESUT meeting gives the opportunity to join forces and to add surgical techniques displayed on high resolution screens to a local meeting. The moderators and the surgeons were chosen according to their speciality and experience. As a new concept, many of the procedures are transmitted from the home hospitals of the surgeons all over the world including China, India, Brazil and many more, reducing the stressful situation of a typical live surgery setting. The trend of including semi-live content is also integrated as a major part of the live surgery sessions. So it is possible to properly demonstrate new technologies to the auditorium in a safe way and without the pressure of strict time schedules and limited transmission times. Live surgery starts on Thursday, with different approaches for performing stone surgery procedures. That day, the pre-recorded cases will address endoscopic prostate surgery as well as endoscopic bladder tumour procedures. The live cases on Friday will include advanced laparoscopic and robotic kidney surgery, complex stone surgery and robot-assisted reconstructive and ablative surgery. The pre-recorded cases will show new developments and techniques in retrograde intrarenal surgery (RIRS) of stones and TCC. Saturday will focus on prostate surgery. Robotic techniques as well as laparoscopic techniques will be shown. The future of robotic surgery will be addressed in the pre-recorded sessions. In summary, the live surgery programme will show even more procedures and techniques in comparison to the live surgery day of EAU18. There will also be the possibility to discuss the procedure with the surgeon during the case, as well as with the moderators. The hometown of Ferrari will be the perfect place to host the attendees and it will add a beautiful surrounding conditions to the meeting. We are proud to present a meeting of this format to the urological community and we are happy to join forces with our friends of the 2nd largest Italian urological association (IEA).